In this richly illustrated book, Maori scholars and writers share the traditional knowledge passed down the generations by word of mouth. It provides a unique window on the relationship of the people of this land with their environment, as well as the profound knowledge and neces... read full description below. In traditional Maori knowledge, the weather, birds, fish and trees, sun and moon are related to each other, and to the people of the land, the tangata whenua. It is truly an interconnected world - a vast family of which humans are children of the earth and sky, and cousins to all living things. 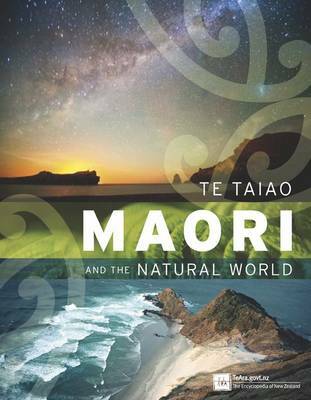 In this richly illustrated book, Maori scholars and writers share the traditional knowledge passed down the generations by word of mouth. It provides a unique window on the relationship of the people of this land with their environment, as well as the profound knowledge and necessary skills they needed to survive here. How did Maori describe and predict the weather, use the moon as a guide for successful fishing and planting, and celebrate Matariki, the Maori New Year? How did they describe and move about their environment, and survive. Discover forest lore and traditional uses of forest plants, how Maori hunted moa, harvested birds, fish and shellfish, and cultivated plants they bought with them from Polynesia. In a word - fascinating!